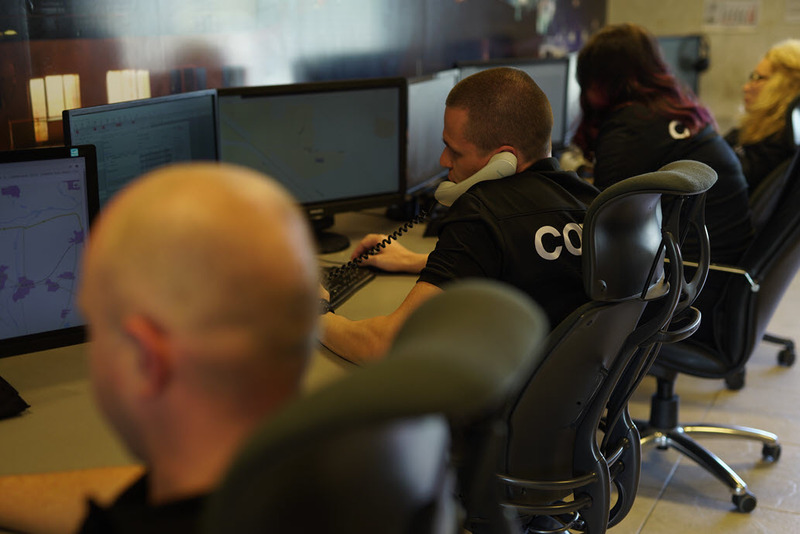 An uninterrupted voice connection with the mobile patrols is maintained by operators in the center. It enables them to have direct control over the response teams and to communicate with the clients throughout the country. The signals received from the guarded sites are received both in the center and the response cars which significantly reduces the time for response. The radio systems designed to receive signals from sites are multifrequency systems. This excludes the possible blocking of all radio channels. The concept, infrastructure and transmitters are developed by SOT 161 itself as the latest version of the system implies the development of a network of transceiver devices ensuring the localization of attempted jamming of incoming alarm signals. Practically, SOT 161 is the only company in Bulgaria that successfully uses technology for prevention of jamming attempts. Recording system for all NODC conversations held on air (by radio) or on the telephone. SOS/Supernova System print-out of the type of signals received from the site and the time of their receipt, actions of the on-duty operator, recording the time to confirmation of signal receipt by the patrol, time to arrival at the accident scene and inspection report. GPS System print-out of the route travelled from receipt of signal until arrival at the scene, including details of the vehicle speed and direction. For risk sites, besides the radio channel, alarm signals are received via telephone line, GSM network or via Internet through IP modules. The protection is ensured by monitoring the uninterrupted connection with such devices. The lack of test signals transmitted every 20 seconds shall be treated as an alarm signal. The company operates a Call Center where all requests for resolving technical issues with the alarm systems are handled. A team of on-duty technicians is available 24 hours a day. Please use the following number to contact the Call Center: +359 2 91 165. SOT 161 is the most experienced company of all with the largest number of guarded sites among all other security companies in the country providing security alarm services. Conditions have been created to facilitate the payment of security service fees: at the company offices, at the Bravo Investments cash desks for household and company accounts, Intercapital Group, POS terminals of the First Investment Bank, Raiffeisenbank and other banks, online payments via ePay system, or using the services of a mobile cashier unit.